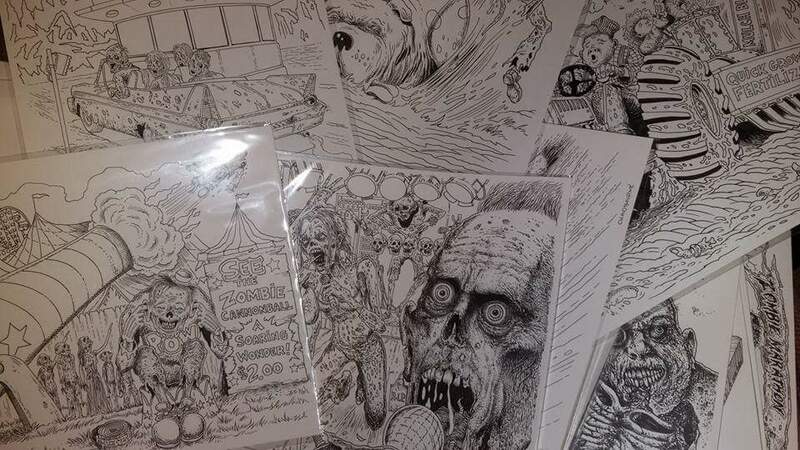 UNCLE GLENNY’S ZOMBIE ‘PACOLYPSE…AN ADULT COLORING BOOK! All original art by Maine artist, Glenn Chadbourne! Due in early October in limited hardcover and trade paperback from Overlook Connection Press! Keep a look out for our coloring contest to win a limited with original art by the artist! Order details later this week! The cover and more information can be found here.